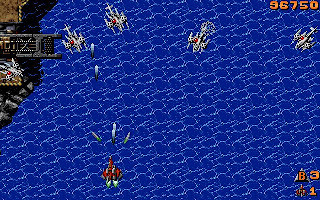 Raiden is a famous scrolling shooting arcade game released in 1990. 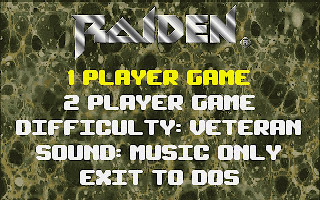 Raiden is originally developed for arcade machines and later been ported to various platform including PC. 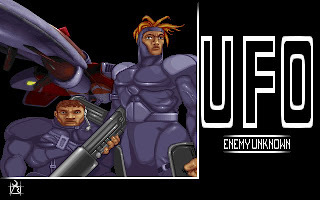 The PC version of Raiden is lacking is many aspect if compared with the original arcade version. 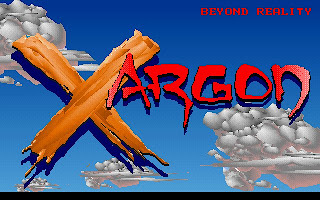 Many graphics effects like explode, debris and ground effects have been removed. 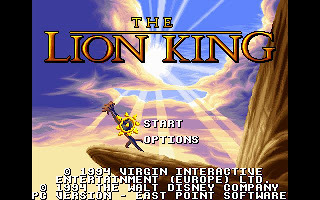 Still, the difficulty remains almost the same with the original one. Completing the game requires a lot of practicing and memorizing. 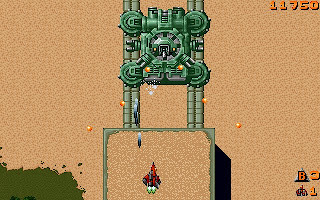 The bosses in the end of every level are still there, but their capability and size have been reduced to make it runnable on PC platform in 1990s. The movement of the enemies are also jumpy on the PC version. 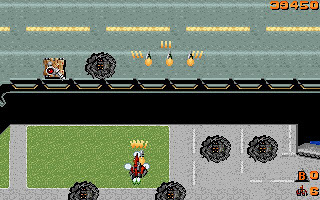 The programmer also fail to implement a simple frame rate control algorithm to make sure the speed maintain throughout the game. 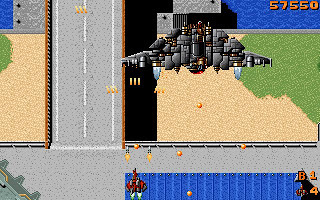 Meaning that when there are many enemies on the screen, the whole game will slow down like turtle, and when there is no enemy, the game will move fast lightning. As you can notice, the screenshots for the PC version definitely quite unattractive. The main reason is the vertical mode in arcade machine has been modified to horizontal mode. Everything become so small to create an impact. 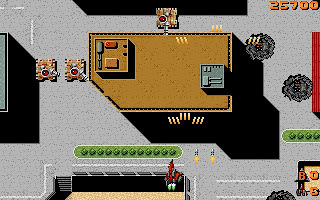 Overall, Raiden for PC version still have some fun to play, but definitely not as attractive as the original arcade version. 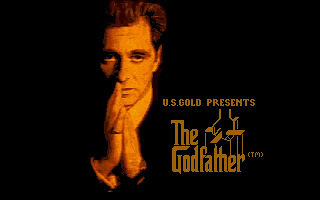 You can get the PC version here.